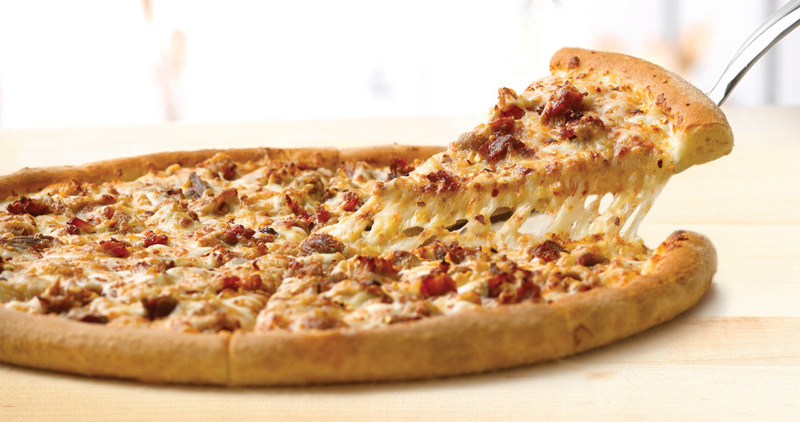 Papa John's Spicy Pulled Pork Pizza is a hand-tossed pizza topped with "Kansas City-style" barbecue sauce, slow-cooked pork, pepper jack and mozzarella cheese, and crushed red pepper flakes. It was $12 for a large. 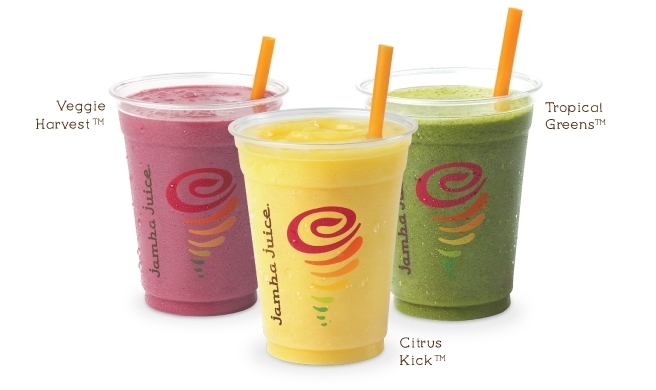 Jamba Juice will be giving away made-to-order, fresh-squeezed juices on Wednesday, August 6, 2014, from 9 am to 11 am, at participating locations. 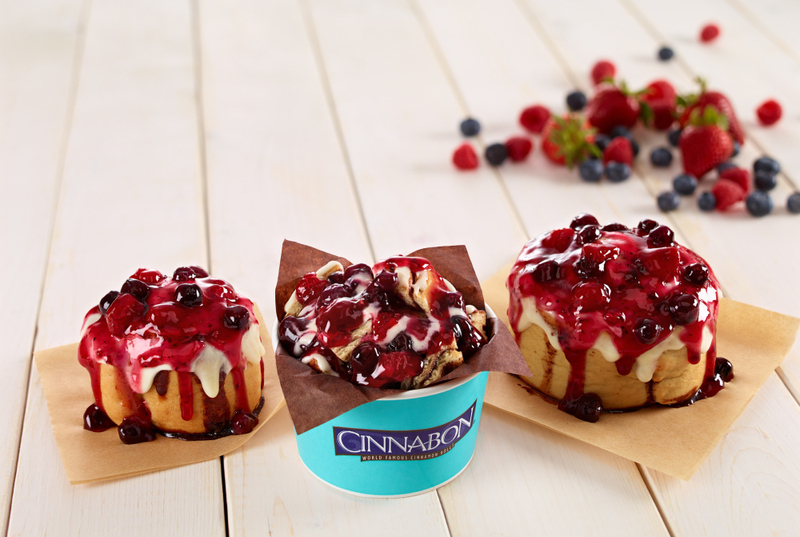 Taking advantage of the summer season, Cinnabon adds a new Wild Berry topping that can be added to either Classic Roll, Minibon, or Center of the Roll. The topping features a combination of raspberries, strawberries, blackberries, and blueberries. Sonic's Garlic Parmesan Cheesy Bread Dog features a hot dog bun with shredded cheddar baked onto it, filled with a beef hot dog, garlic parmesan sauce, and grilled onions. It's normally $2.89 for the hot dog, but this one was provided courtesy of Sonic. 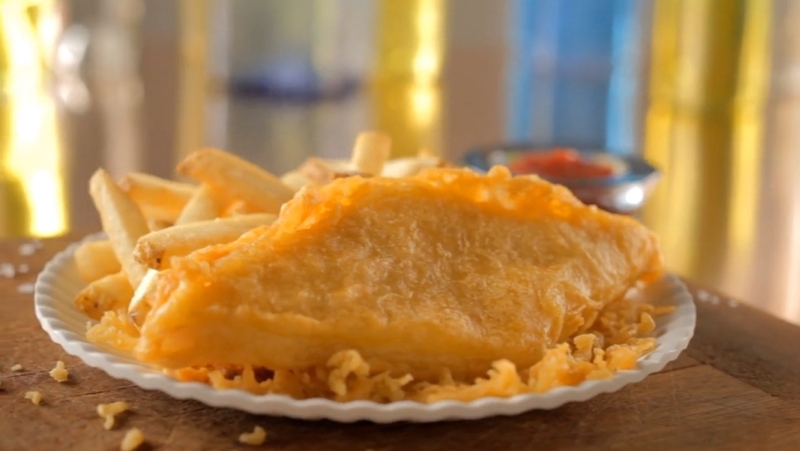 Long John Silver's must be feeling particularly generous as they will once again be giving away free orders of fish and fries this Saturday, August 2, 2014, from 11 am to 3 pm at participating locations. Krispy Kreme's Banana Pudding Donut is a yeast shell donut topped with yellow icing and pieces of vanilla wafers, and filled with banana-flavored Kreme filling. It's $1.19 for one or $9.49 for an assorted dozen at the closest Krispy Kreme. 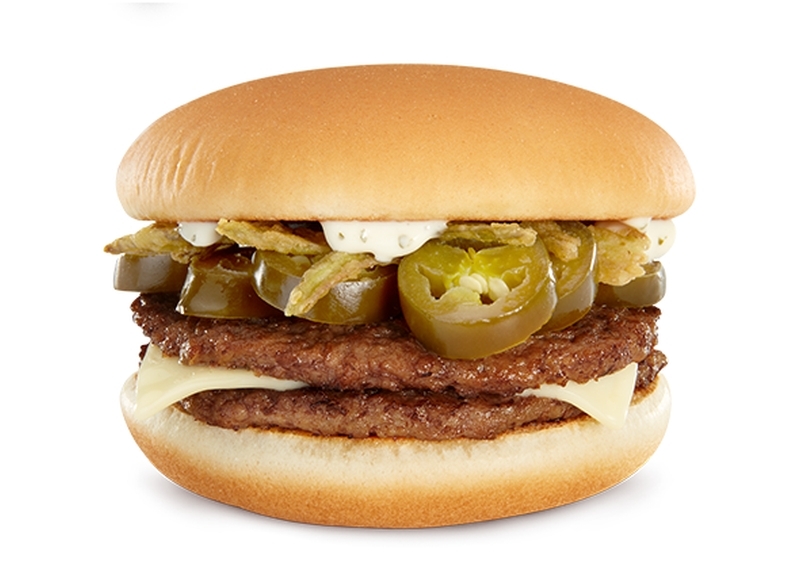 McDonald's latest update to the Dollar Menu & More is the new, limited-time Jalapeno Double burger for $2 at participating restaurants. Occupying the same price tier as the Bacon McDouble, the Jalapeno Double features two beef patties, sliced pickled jalapenos as well as deep-fried crispy ones, a slice of pasteurized process white cheddar, and ranch sauce on a plain hamburger bun. Taco Bell's Chicken Cantina Power Bowl is an update to the now-discontinued Cantina Bowl and features marinated, fire-grilled white meat chicken, romaine lettuce, guacamole, pico de gallo, avocado ranch dressing, shredded cheddar cheese, and reduced-fat sour cream, on a bed of Latin rice and black beans. It cost me $4.99 for a bowl. 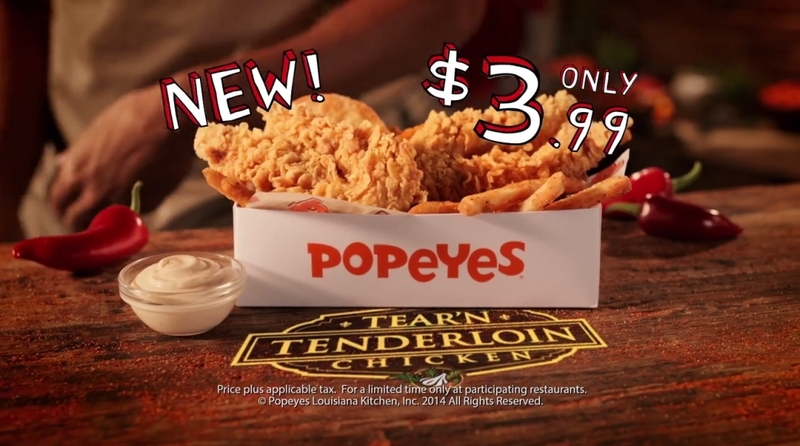 Popeyes' latest is new, limited-time Tear'n Tenderloin Chicken. The dish features two chicken breast tenderloins marinated in Louisiana seasoning and partially cut in half (for "easier dipping") before battered and deep-fried. 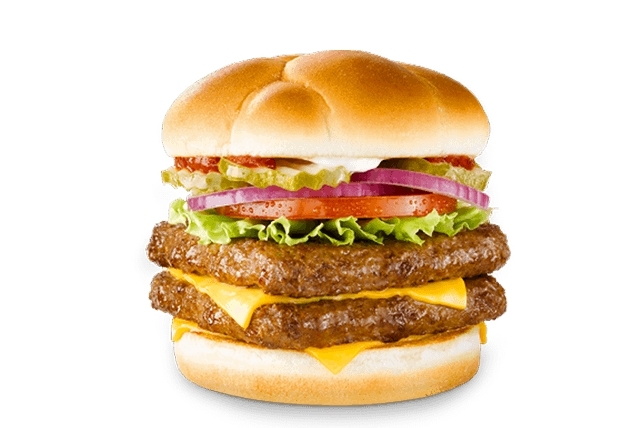 For those who like a bit of meaty variety to their sandwiches, Arby's offers new, limited-time Mega Meat Stack sandwiches, which are a trio of sandwiches featuring various combinations of Arby's meats. Trader Joe's Matcha Green Tea Latte Mix is an instant sweetened green tea latte mix that you can quickly stir into a iced or hot green tea latte. An 8-oz canister was $3.99 and good for about 8 servings. If you ever thought, "Boy, I wish my French fries could hold more sauce," KFC Romania has just the thing for you with new Dipping Fries. Krispy Kreme's Carrot Cake Donut is a cake donut with carrots and spice, topped with cream cheese icing and finished with strips of orange icing. It's $1.19 for one or $9.49 for an assorted dozen in my area. 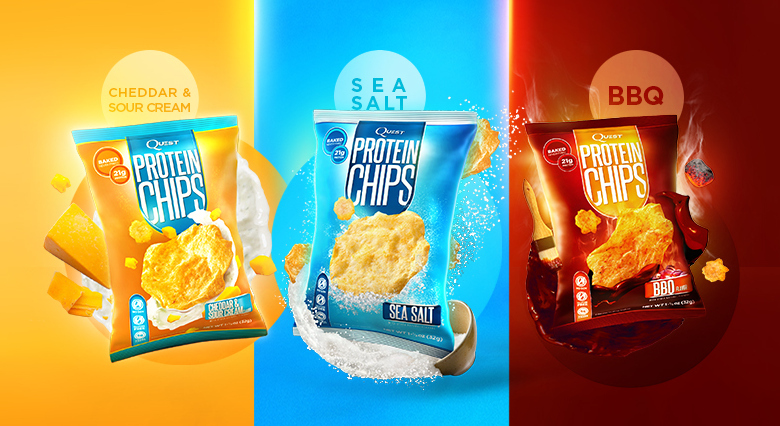 Quest Nutrition, best known for protein bars, has come up with high-protein potato chips, calling them "Quest Protein Chips." Chicken Enchilada Suiza or "Swiss Chicken Enchiladas" refers to the plentiful amounts of dairy used in the dish, including a cream sauce rather than a red or green sauce. It doesn't seem like the prime candidate for "healthy" meals, but here we are. Lean Cuisine's Chicken Enchilada Suiza comes with sour cream sauce and Mexican-style rice, while Weight Watchers Smart Ones' features a "zesty sour cream and green chile sauce with Spanish rice." Both weigh in at 9 ounces and were $2 each on sale. 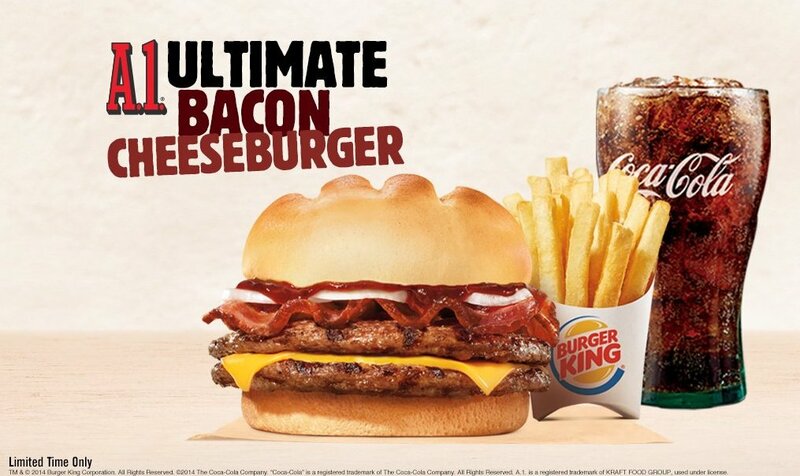 Burger King fights back the midsummer lull with the introduction of two new burgers: the A.1. Ultimate Cheeseburger and Mushroom & Swiss Big King. Wendy's is trying out a "Build Your Own" burger/ sandwich menu out in Columbus, Ohio. While the burger chain already allows you to customize your burger how your want it, having all the options laid out on the menu gives let's customers know the available choices as well as the pricing for said choices. 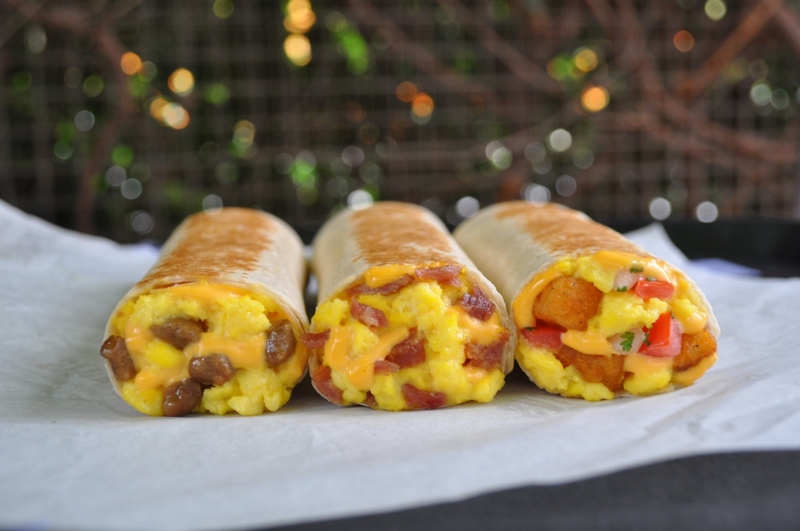 Taco Bell's Grilled Breakfast Burritos features scrambled eggs, warm nacho cheese, and a choice of either sausage, bacon, or seasoned Fiesta potatoes and pico de gallo, wrapped up in a flour tortilla and grilled. I ended up trying all three for $1.29 a piece. 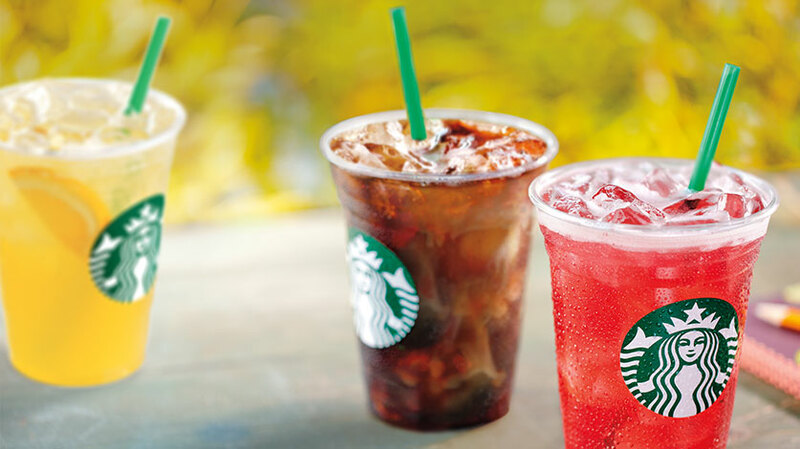 Starbucks has brought back their Treat Receipt promotion where you can bring back your morning Starbucks receipt after 2 pm on the same day and get any Grande cold beverage for $2. Japanese burger chain MOS Burger now offers gluten-free hot dog and burger buns as part of a new hypoallergenic kid's menu that is devoid of buckwheat, peanut, egg, milk, wheat, and shrimp. 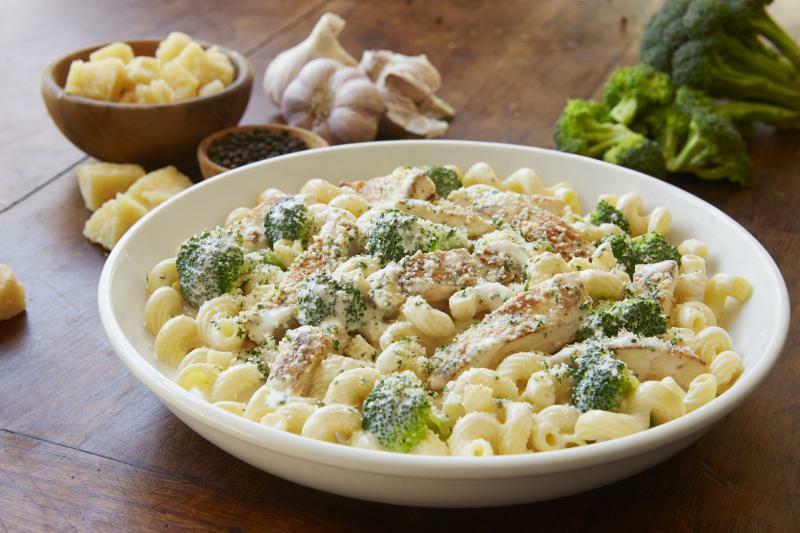 Olive Garden is offering a new 3-Course Alfredo Dinner with four new Alfredo entrees to choose from, plus soup or salad and dessert starting at $11.99 for a limited time. Taco Bell's new Grande Scrambler features Fiesta potatoes, pico de gallo, sour cream, cheddar cheese, and a choice either bacon, sausage, or steak wrapped up in a flour tortilla. It cost me $2.49 for one with bacon (sausage costs the same and steak is slightly more at $3.29). 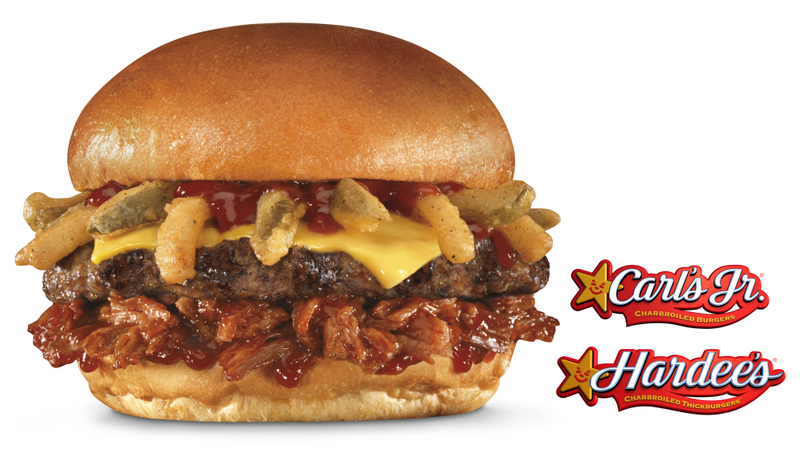 Carl's Jr. and Hardee's introduce the new, limited-time Texas BBQ Thickburger and add new Black Angus beef patty sizes ranging from a quarter pound to a half-pound. As part of a summer tie-in with the upcoming Teenage Mutant Ninja Turtles movie coming August 8th, Pizza Hut has built a life-sized, fully-operational version of the Pizza Thrower (some of you might remember the toy from back in the '80s). Move over drone delivery? 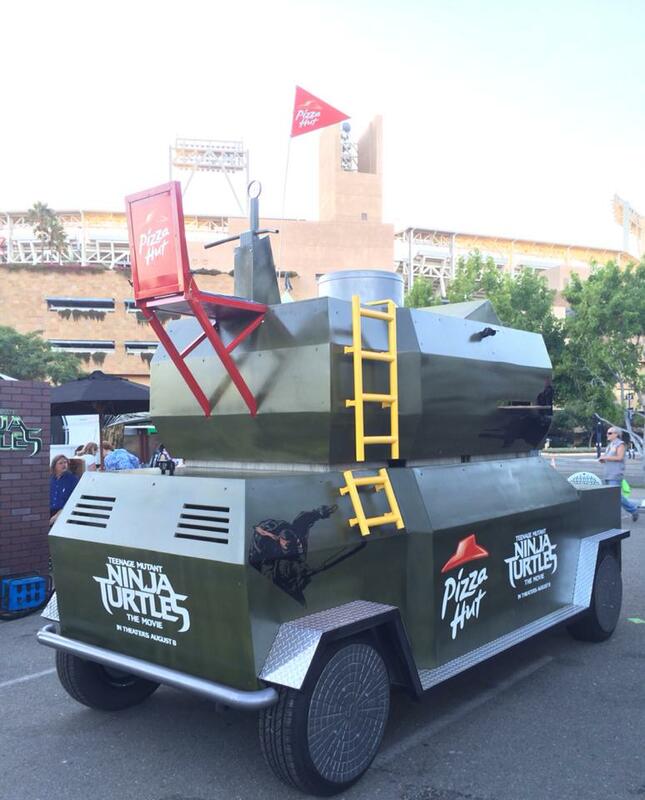 The Pizza Thrower can be seen at Comic-Con in San Diego (July 24 to 27), where attendees can line up to man the turret and fire off faux Pizza Hut Cheesy Bites pizzas at targets and enemies of the Ninja Turtles (they'll also be able to eat some real Cheesy Bites Pizza, while they wait). Carl's Jr.'s Chorizo, Egg & Cheese Biscuit and Burrito are new to the menu. The biscuit comes with crumbled chorizo sausage folded into eggs and topped with pepper jack cheese on a "Made from Scratch" biscuit. The burrito features crumbled chorizo, scrambled eggs, shredded jack and cheddar cheeses, Hash Rounds, and pico de gallo, wrapped up in a soft flour tortilla. It was $2.49 for the biscuit and $3.69 for the burrito, but I got the burrito courtesy of Carl's Jr.
Like Sonic, 7-Eleven is celebrating National Hot Dog Day on July 23, 2014, by offering their Quarter-Pound Big Bite all-beef hot dogs for a discounted $1 (they're normally over $2) at participating stores, while supplies last. 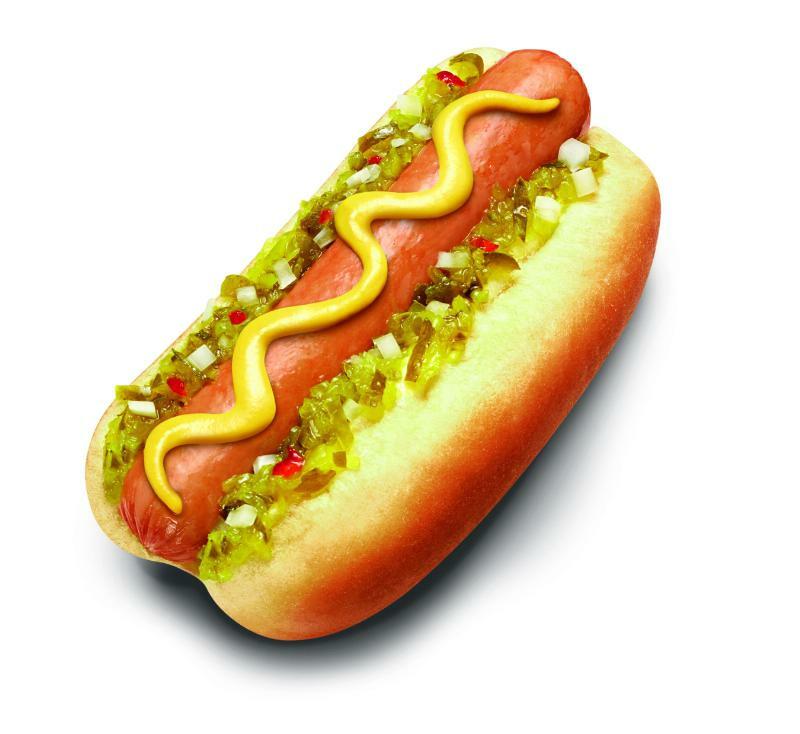 7-Eleven hot dogs can be topped with a number of condiments free of charge, including nacho cheese and chili. Sonic is celebrating National Hot Dog Day on July 23rd by offering their All-American Dogs and Chili Cheese Coney Dogs for a discounted $1 each. The hot dogs normally go for around $2. Panda Express recently opened a new "Innovation Kitchen" here in Southern California as a restaurant where they can test out new concepts and see how a different interior and exterior might work for the Chinese-American food chain. Since it's not too far away, I popped on by to take a look (and try some food of course). Arby's will be giving away free 12-oz value-sized Jamocha shakes this Wednesday, July 23, 2014 in celebration of their 50th anniversary at participating locations. Jollibee's Crunchy Chicken Sandwich is a value-priced chicken strip slider and comes with two crunchy strips of chicken, lettuce, and mayo on a slider bun. The price was two for $3. Sonic's Coconut Cream Pie Shake features vanilla ice cream mixed with the "rich flavor of coconut cream pie," and finished with whipped topping, pie crumbs, and a maraschino cherry. It was $1.99 for a 12-oz, mini-sized cup. Sam's Choice Bavarian Style Pretzel Burgers can only be found at Walmart (the Sam in question being Walmart founder Sam Walton) and feature a flame-broiled chopped beef steak, slices of smoked ham, stone-ground mustard, and cheese on a pretzel bun. 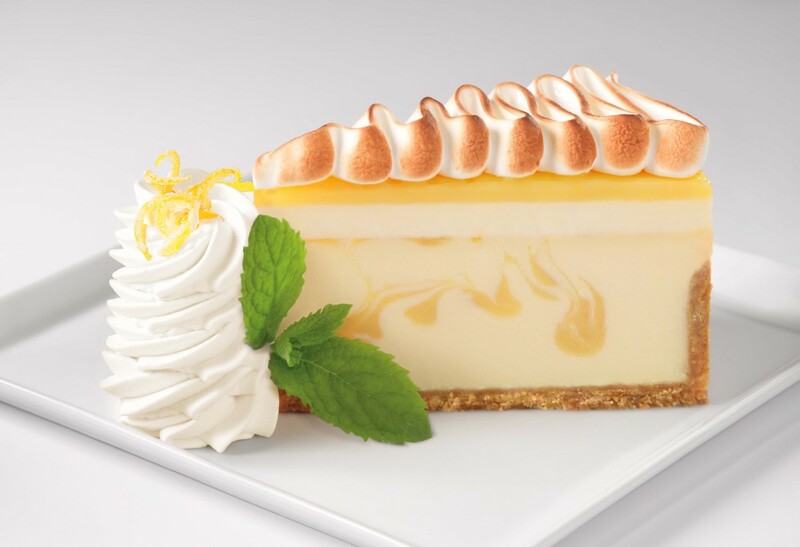 In an annual tradition, The Cheesecake Factory will be once celebrating National Cheesecake Day by offering any slice of cheesecake for half-price on Wednesday, July 30, 2014 (which is National Cheesecake Day) as well as Thursday, July 31, 2014. 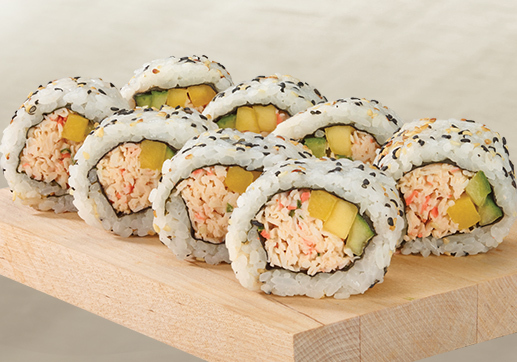 Pei Wei Asian Diner is trying their hand at sushi with two new sushi rolls on the menu: the Mango California Roll and Sriracha Tuna Roll. They've also introduced new small-size entree salads for those looking for a lighter option. Church's Chicken's Chicken & Biscuit Bites feature marinated, battered, and deep-fried chicken breast chunks and new bite-sized versions of their signature Honey Butter Biscuits. It cost me $3.49 for 8 breast chunks and 4 Biscuit Bites. It's only been a little more than three months, but Taco Bell is already bolstering their breakfast menu with the new Grilled Breakfast Burrito as well as the new Grande Scrambler. Frito Lay did a round of mystery flavors for their Doritos Jacked line back in April, which consisted of three "test" flavors in all. The whole idea was for fans to try/buy them and vote for their favorite. I ended up trying all three flavors and made my best guess(es) as to what they were (as did quite a few of you guys in the comments). Well, Frito Lay recently revealed which flavors were what. 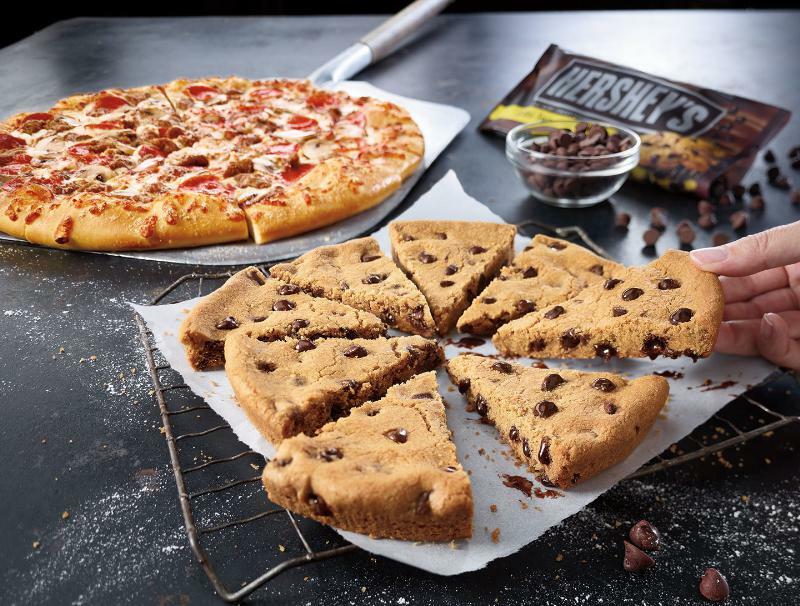 Pizza Hut's Ultimate Hershey's Chocolate Chip Cookie is a giant, fresh-baked 8-inch chocolate chip cookie made with Hershey's semi-sweet chocolate chips. I got one for $4.99 with the purchase of a pizza (it's $5.99 otherwise). Starbucks Japan's latest limited-time Frappuccino blows the standard Strawberries & Creme Frappuccino out of the water by throwing in strawberry whipped cream and slices of strawberries that require an extra-wide straw to drink up. Boston Market offers up the new, limited-time BLT Rotisserie Chicken Burger as their entrant into the "better burger" fray (I don't think most would consider it as a burger though). 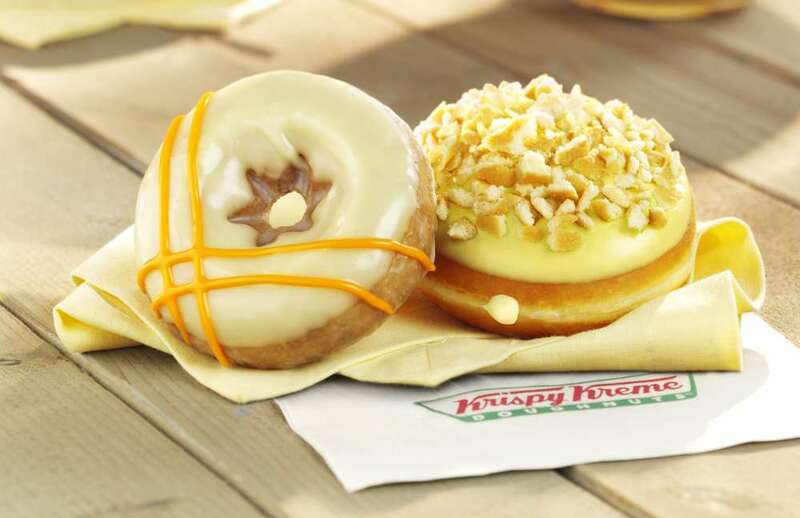 Krispy Kreme unveils a southern theme with two new, limited-time donuts: the Carrot Cake Donut and the Banana Pudding Donut. Collectively, they're calling them the new Southern Summer Classics donuts. 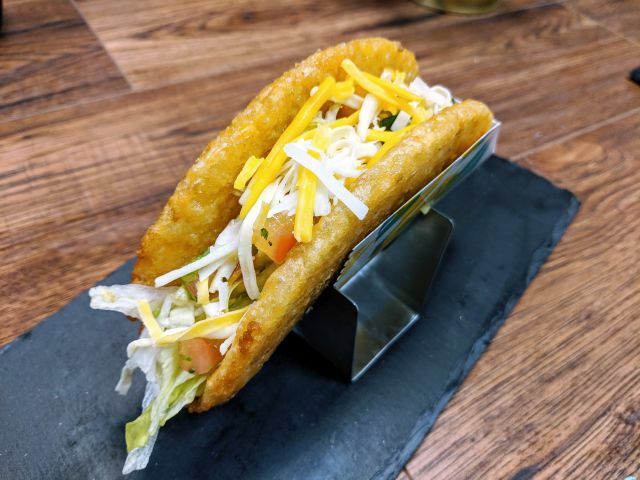 Del Taco's Bun Taco features seasoned ground beef, hand-grated cheddar cheese, shredded lettuce, and a slice of tomato on a sesame seed bun (i.e. it's what you'd find in their tacos but between two sides of a hamburger bun). They used to serve it back in the day and have brought it back for a limited time as part of their 50th anniversary celebration. I picked one up for $2.25. Domino's Australia is offering a new and interesting proposition to their customers: create your own pizza, share it on social networks, and earn a cut of every sale generated. 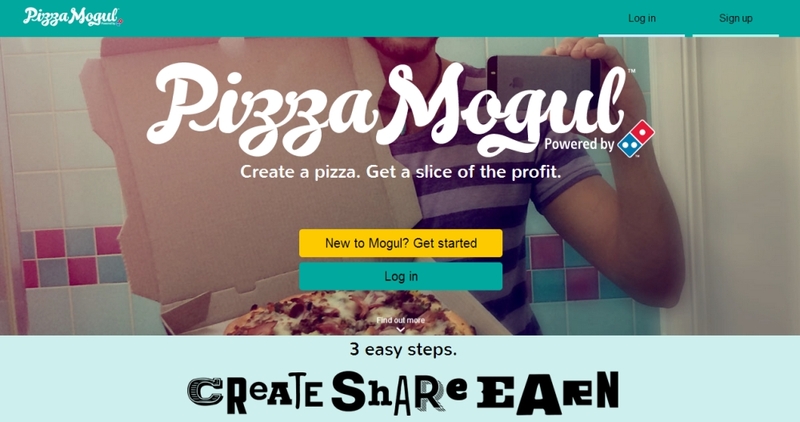 They're calling the program "Pizza Mogul" and it comes with its own website and app for participants. 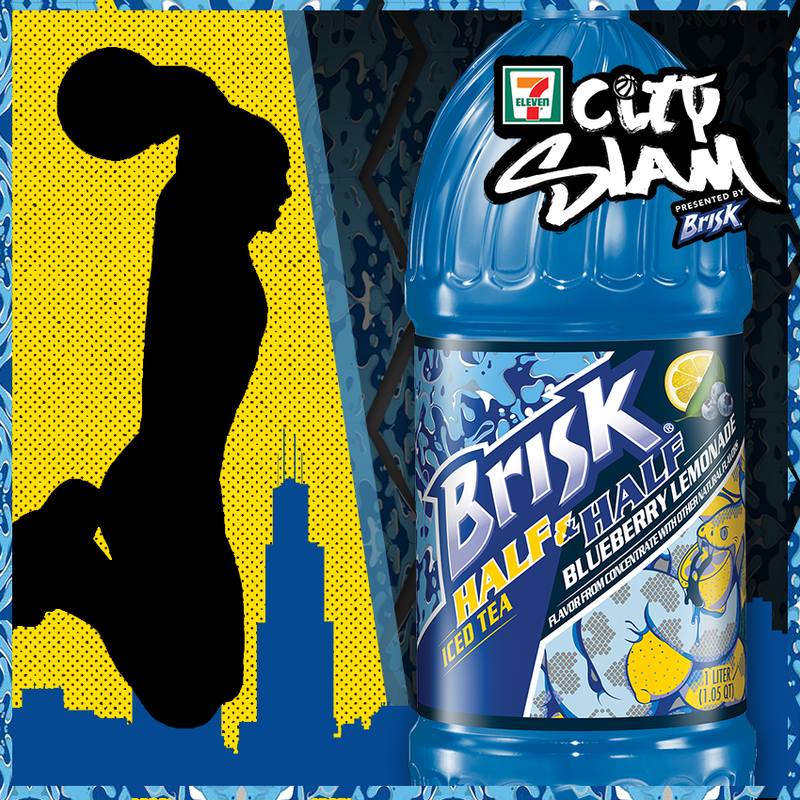 7-Eleven is stocking a new, exclusive summer flavor of Red Bull as well as a new, exclusive flavor of Brisk Half & Half iced tea-lemonade blend at participating locations. New Red Bull Summer Edition is an energy drink featuring the flavor of tropical fruits. It's available only at 7-Eleven for a limited time at two 12-oz cans for $5 (must buy two to get the discount). 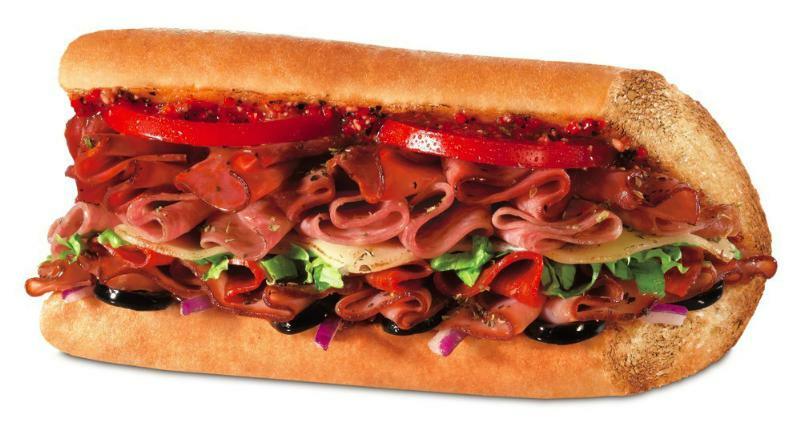 Quiznos is discounting their Classic Italian Sub to $2.99 for a small sub throughout the months of July and August at participating Quiznos locations. Starbucks' Lemon Ale Fizzio Soda is described as "lemon juice with a hint of apricot and ginger." It cost $2.95 for a Grande (16 oz). Pizza Hut introduces a new giant fresh-baked chocolate chip cookie that they're calling "The Ultimate Hershey's Chocolate Chip Cookie." The 8-inch cookie is cut into 8 slices and features an average of 165 Hershey's semi-sweet chocolate chips per cookie. 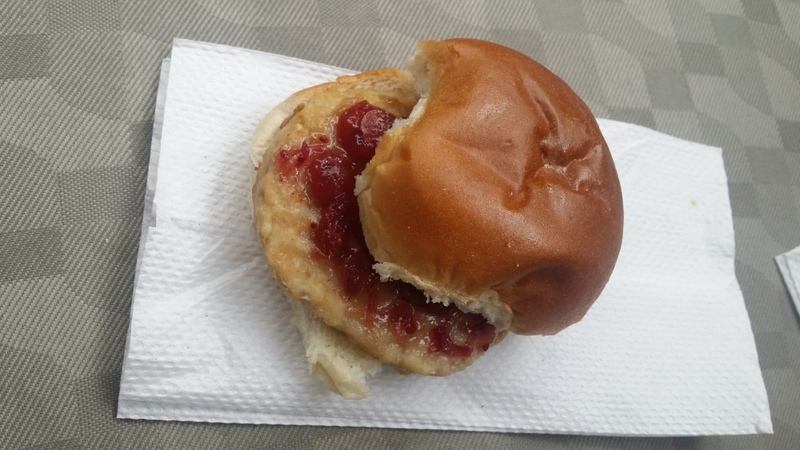 Following the recent news of a Veggie Slider test, it looks like White Castle is also trying out Turkey Sliders. The sliders were spotted by an anonymous Brand Eater out in Minnesota.